Esida and Esida Lodge cater for a range of care needs including extensive care and palliative care. We also care for more independent residents who have the peace-of-mind knowing help and nursing care are available when needed. Qualified nursing and care staff provide loving care and understanding 24 hours a day, seven days a week. Our multidisciplinary team includes doctors and allied health professionals such as a physiotherapist, podiatrist and dietician. 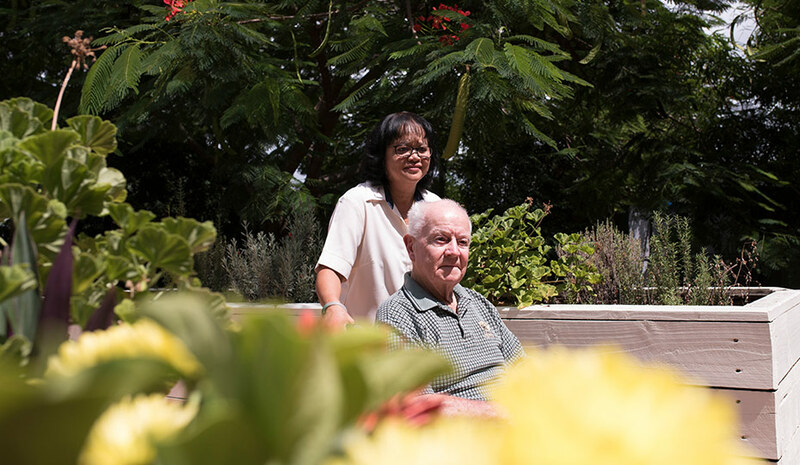 Our supportive and attentive staff are trained and equipped to care for residents with all types of needs to ensure continuity of care and service is maintained. Our approach to personalised care enables us to meet each resident’s individual needs with respect, love, dignity and independence. Esida is a non-smoking home. Our Servizi Additional Services Package supports residents by offering additional choices. Additional Service provision includes a variety of choice, such as more extensive menu choices and alcoholic beverages. We can also tailor a package to meet your individual needs and preferences. Let us develop a special package for you, perhaps additional companionship, supported excursions or individual shopping trips.